USTA League Tennis is the world's largest recreational tennis league providing organized, structured team matches for all ability levels. Approximately 500,000 players compete nationwide, with over 500 adult and senior players coming from the USTA GEPTA district. The program is open to women and men 18 years of age and older and features a local, state and sectional championship and culminates in a national championship in most levels (NTRP levels 2.5 - 5.0). Whether you are a beginner or a more advanced player, this program has a spot for you. There is no better way to have fun, make friends and compete than USTA League Tennis. Need help locating a team or have questions about local leagues? Contact your GEPTA local league coordinator today! Tennis Link - Click to get started! Remember to contact the facility 48 hours ahead of time to confirm the courts for your match. Do you have a match at Fort Bliss and are wondering how to get there? 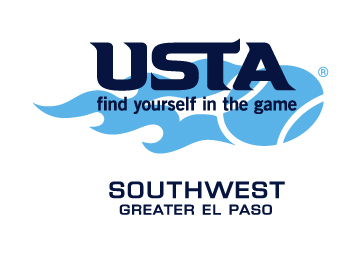 The Fort Bliss Tennis Club is looking forward to hosting USTA Leagues!